When I started in Student Ministry about 10 years ago, I gave very little credence to parents and rarely considered their point of view. In part, I attribute the arrogance of my late teens and early 20's, but I also thought as a Student Pastor that my job solely mattered for students. I figured that if a parent needed to talk to someone, then they should speak with a Pastor for adults. Perhaps that made sense in my early 20's, but now in my 30's, that would be a sure fire way to either limit my potential for growth or my job altogether. The tides of Student Ministry have changed since the programmatic heavy culture of the 90's. Nearly all of the research across the board - whether it be from Sticky Faith, the Institute for Youth Ministry at Princeton, or other well known sources - tells us that if you desire to do great Student Ministry with teenagers, then you must do great ministry with their parents. Which means: You must learn and understand the assumptions of parents. Obviously, every parent adheres to a slightly different set of values and standards for their children. For example, some place a high value on health, others on education, and still others could care less about either one. But the bottom line, all good parents care about their children, love them more than you do, and desire the best for them. This should be your starting point for everything you do. This is a truthful statement that you can safely apply to every parent whose child attends your programs. Yet, another truthful assumption about parents is their children face demands from every angle, such as homework, extra-curricular, technology, church, and so forth. There are more distractions available for students than seconds in a day, and from parents who have opened up to me about this topic, very few of these demands could care less about the role of a parent. In fact, some parents have confessed to me that they often feel like obstacles in the way. Different entities want their kids, not them, and this can make parents feel quite helpless in raising in their kids. As a Pastor who cares about the well-being and discipleship of the whole family, this does not seem like the best way to partner with parents. In fact, this seems like quite the opposite to doing great ministry with parents. Not very spiritual, is it? But these are the questions on every concerned parent's mind, and here's why: behind these 2 questions are a host of other questions. 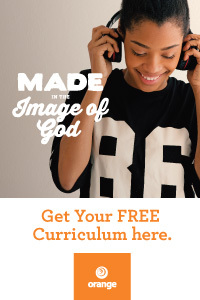 Depending on how you address these 2 questions will determine if parents feel valued in your ministry or feel like a speed bump to accomplishing your goals - and seriously, no one wants to feel like a speed bump, especially non-Christian parents who are taking a risk on you by allowing their child to attend your program. By addressing cost, you implicitly communicate to parents that you are aware of their financial stresses, think about their family budgetary needs, and recognize that you are not the only one dipping into their pocket book. This alone speaks deeply to the concerns of many parents. One parent told me, "Every time my child signs up for a new activity, I envision more of my money flying out of my wallet." The last thing that you want a parent to think about regarding your program - or the church in general - is, "It is too expensive for my child to go there." By addressing time, you implicitly communicate to parents that you are aware of their family priorities, recognize other demands on the family calendar, respect their family boundaries, and uphold the value that no program or group of people replaces the time a family shares together. The last thing that you want a parent to think about regarding your program - or the church in general - is, "They intrude upon our family time together." These 2 questions may not seem spiritual. In fact, they may not even seem relevant to church. But they are more deeply rooted in Scripture than you may realize. In fact, these may be the most important questions that you could ask of your parents in order to build bridges to long lasting partnerships. Your partnership with parents must go beyond a simple monthly newsletter. Rather, to truly get involved in the lives of parents, you must love them and consider their desires and felt needs ahead of your programs. This could mean doing less. It could even mean an initial reduction in numbers or slow growth at the outset. But before long, you will become a more faithful witness to the life of Christ and a trusted influence to the whole family than you could have ever imagined. And that is a game changer. QUESTION: How will you address these assumptions during your next programmatic addition? Newer Post9 Habits to Make Your Devotional Life Come Alive! Older PostIs Your Response to Christian Practices Harming the Faith of Others?